12 July 2016 - The High Criminal Court today postponed the trial of prominent Human Rights Defender Nabeel Rajab, President of Bahrain Center for Human Rights (BCHR), to 2 August 2016. The judge refused his lawyers’ request of release, thus he will remain detained pending his trial. The undersigned NGOs strongly condemn the persecution of Rajab and extension of his detention. We call on the government of Bahrain to immediately and unconditionally release Rajab, and respect his human rights in detention. Rajab appeared before the court on charges of “insulting a statutory body”, “insulting a neighboring country”, and “disseminating false rumors in time of war”. These are in relation to remarks he tweeted and retweeted on his Twitter handler in 2015 about credible allegation of torture at Jau prison and the Saudi-led war in Yemen. He may face more than 10 years in prison if convicted, for which he was already detained from 2 April to 13 July 2015. Despite the charges having first been made over a year ago, today’s court hearing was Rajab’s first for this case. Since his arrest on 13 June 2016 on separate charges, Rajab has been detained in solitary confinement with no contact with other prisoners and in very poor conditions. He is currently being detained at West Riffa police station. He is being denied the minimum standards of the treatment of prisoners, which has been the cause for deterioration of his health, including the loss of 8 kgs since his arrest. Rajab’s lawyer states that he is being subjected to harassment in detention. His right to privacy is not respected during visits: all visits are under close monitoring by two police officers, who sit close to the family. Concerns over his deteriorating health is growing. His family, who saw him today, say he looked pale and seemed to have lost more weight since their last visit on 5 July. On 28 June 2016, after two weeks in solitary confinement, Rajab’s health deteriorated and he was transferred by ambulance to the Coronary Care Unit (CCU) in Bahrain Defense Hospital after he suffered from irregular heartbeats. On 29 June 2016, the authorities transported Rajab back to the police station although his health was reportedly still unstable. Rajab suffers from additional illnesses that are only worsened due to his detention conditions. His blood tests have shown that he suffers from a urinary tract infection and low mononucleosis, and he’s awaiting the results of more blood tests. Rajab needs to have two different surgical operations, to treat gallstones and an enlarged gallbladder. He also suffers from enlarged prostate. There is a high risk of further deterioration of his physical and mental health due to prolonged periods of solitary detention. On 13 June 2016, the authorities arrested Rajab and charged him with “publishing and broadcasting false news that undermines the prestige of the state.” These charges were brought against him in relation to three televised interviews in 2015 and 2016 in which he mainly discussed the human rights situation and violations committed by Bahraini security forces. 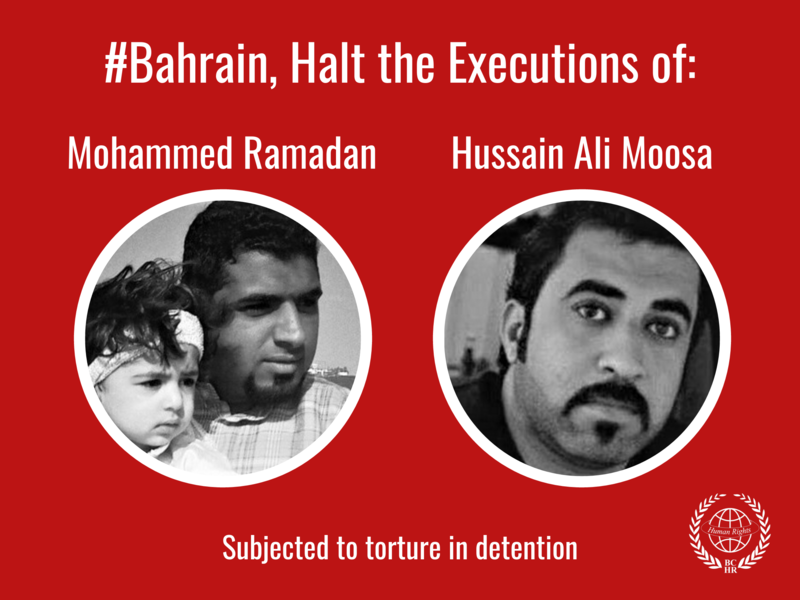 It’s not clear if Bahrain government plans to move forward with another trial on these charges, which are separate from the current trial. The arrest of Rajab, who is also Founding Director of the Gulf Centre for Human Rights (GCHR) and Deputy Secretary General of FIDH, was widely condemned in June by international human rights bodies and governments, including United Nations Secretary-General Ban Ki-moon who said that “such actions by the State authorities could potentially damage the human rights situation in the country.” In addition the United States, France and Germany have raised concerns. The Office of the UN High Commissioner issued a statement mentioning the case of Rajab and other recent alarming issues in Bahrain, while the Human Rights Commission of the US Congress expressed concern about Rajab’s health during detention. Most recently, in July, members of the European Parliament demanded the release of Rajab in their open letter addressed to High Representative of the European Union for Foreign Affairs and Security Policy. The European Parliament reiterated its demands for the release of Rajab and its condemnation of the widespread campaign against human rights and political activists in Bahrain. 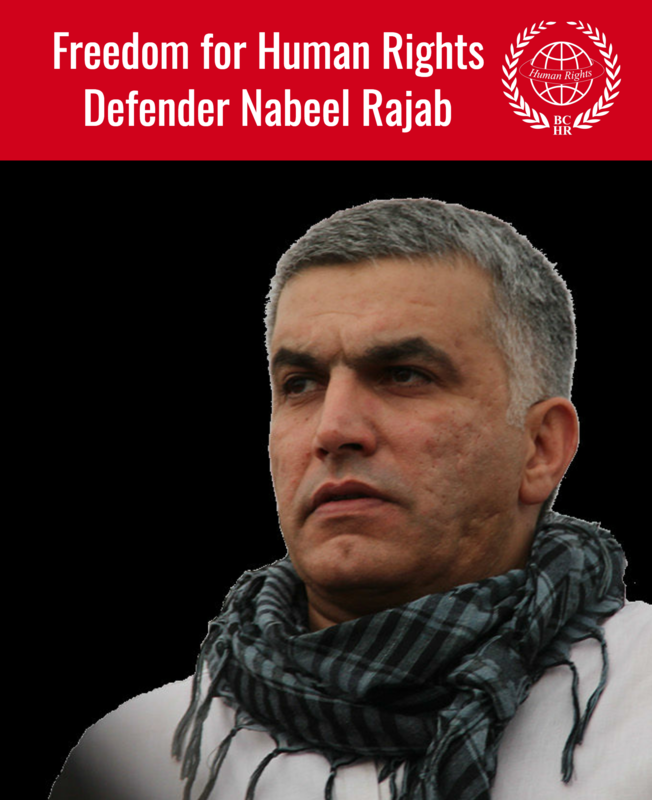 We, the undersigned, calls on the international community to press further for Rajab’s basic human rights to be respected, including to protect his health, and to publicly and clearly call for his immediate and unconditional release; and for an end to the government of Bahrain’s reprisals against human rights defenders. For more information on Nabeel Rajab, please visit this page, and for any further developments on his case please visit this page as it is regularly updated with the latest information.